HID headlights vs Projector Headlights. Obviously our 2gen TLs have the HIDs. It looks like at least some of the 3rdGen TLs have Projector style lights?? Is that correct?? What are the pros and cons of HIDs vs Projectors? Maybe what I'm really talking about is the projector type LENS vs regular type lens??? Educate me please. To me, projector lights in general don't seem like they throw out as much light as regular HIDs. Oncoming cars with projector lights don't seem near as bright as oncoming HID vehicles. Are Projector style light really better than HIDs, or is it just they are currently the "cool" thing to have because they are newer and look different? Last edited by AlanW; 08-04-2010 at 09:12 AM. A projector is a type of headlight, instead of using a normal reflector, its using a lens to direct the light. HID is a type of bulb. 3G's and 2G's both have HID bulbs. Last edited by justnspace; 08-04-2010 at 09:28 AM. -With out a "special" bulb you will be blinded (ex guy in civic that installs HID's) as the light scatters everywhere. 3g TL, RDX, BMW, Audi, ect. The reason why they don't seem as bright is that all the light is focused on the ground - not directly in your eyes. Last edited by thelastaspec; 08-04-2010 at 09:34 AM. OK, thanks. Those pictures are great. What about the view from behind the wheel, driving a car with projectors vs HID, etc.?? Would the low cut-off on the projectors, while lighting up the road, throw out less light over-all, maybe giving the impression they are not as bright. And what about the bulbs powering projectors?? Are there HID projectors? standard Halogen bulbs, etc? Read the links that i gave you. and those pictures look like they are from the drivers seat. 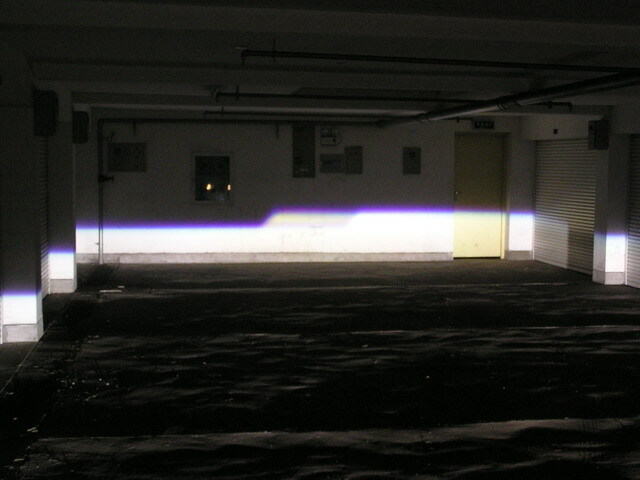 you can clearly tell that the projectors provide the same amount of brightness just that it cuts off, so that it does not blind oncoming cars. This is the whole point of projectors. Also the HID bulbs have different temperatures. 4300Kelvin is stock on the 3rd gen TL. 4300k provides the best output and visibility. Once you start to go higher in temperature, you lose visibility. 6000k is a blueish color. 8000k is very blue. Anything above 10,000K is purple. yes, the colors are cool but you lose visibility at night and in the rain. Last edited by justnspace; 08-04-2010 at 03:16 PM. The projectors are very nice to drive with. It almost illuminates everything everything under the beam. If you look at the projector picture note how even the right and leftmost sides have ample light. Having driven a RDX (projectors) and my TL (reflector) down the same un-lit rural road (drive the road constantly), the RDX appears to produce more useful light (ex: seeing deer on the side of the road). When you say light is less from projectors, you are facing them oncoming, thus all the light is on the ground, not in your face. Ask a dealer or a neighbor if you can try projector HID's at night. The reflector still puts out ample light, but some light is lost when directed above the "line" - where as in the projector that light is harnessed and focused. Note, using projector HID's on an un-equipped reflector car is illegal and blinds oncoming drivers. That special coating prevents the light from blinding oncoming traffic on our cars. not all projectors are HID, for instance, many of the newer cars come with halogen projectors, newer camry's being one of them. having driven a TL TSX and MDX with projectors and my car, I find that there is not much difference in how the road gets lit up. the main difference between a refector and projector in our use is the SIZE of the headlight. The cars with the progctors have smaller overall housings. IMHO Acura did an excellent job using reflectors. I have also noticed that the MDX appears to put more light out but I believe that is related to it being higher off of the ground. Last edited by YeuEmMaiMai; 08-05-2010 at 05:17 AM. i think you are talking about the diffuser, not on the bulb. Get HIDs for your car For $135 !!!!! Quick Reply: HID headlights vs Projector Headlights.